Article 2, paragraph 4 of the Concordat between Italy and the Holy See reads: “The Italian Republic recognizes the particular significance that Rome, as the episcopal seat of the Holy Pontiff, wields for Catholicity”. In the past, this paragraph was cited against the organization of Gay Prides in the Italian capital, leading to a refusal by the Municipality and the Ministry for Equal Opportunities to grant their patronage to such events. 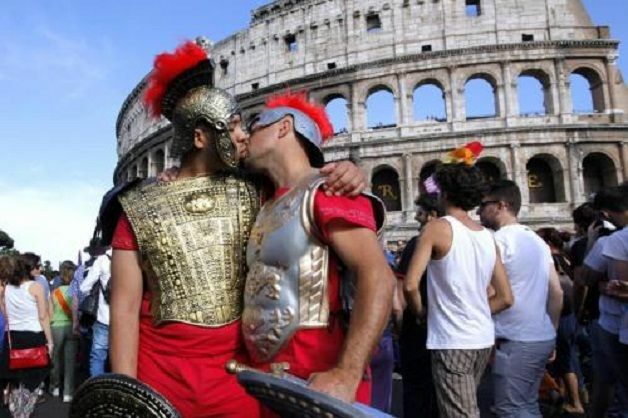 The Gay Prides took place anyway, since pursuant to Article 17 of the Italian Constitution “the citizens have the right to assemble peacefully and without weapons. Assemblies, even if they are held in places which are open to the public, require no prior warning to the Authorities. The Authorities must be warned of any assembly to be held in a public place, but they can forbid such assembly only for proven reasons of safety or security”. Contrary to a common belief, the Concordat between Italy and the Holy See does not date back to Mussolini, since it was “reviewed” (de facto completely rewritten) under the Socialist Prime Minister Bettino Craxi in the Eighties. Of the Lateral Pacts negotiated and signed by Mussolini survives only the Lateran Treaty which established the State of Vatican City as a partial compensation for the Italian annexation of the Pontifical States in the XIX century. When the Papal troops surrendered, the capitulation agreements provided for the Leonine City, a larger area than the Vatican, to be left to the Holy See. However, the clause was never implemented, partly because the Holy See refused for decades to have any contact with the Italian Government. Tags: Concordat, Gay Pride, Holy See, Italy, Lateran Pacts, Lateran Treaty, Rome. Bookmark the permalink.